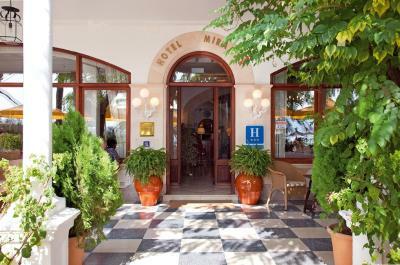 Lock in a great price for Hotel Miramar – rated 9.1 by recent guests! Staff was outstanding. Hotel was clean and updated. 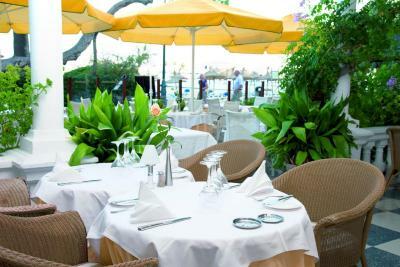 Location excellent, great ambience and relaxed atmosphere. Breakfasts offered good choice and comfortable terrace great for people watching. 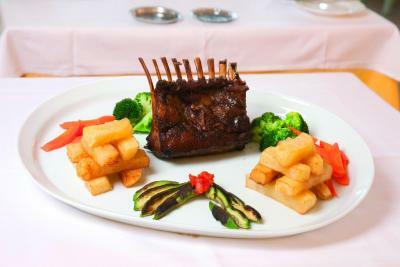 Friendly staff, excellent facilities and clean comfortable rooms. 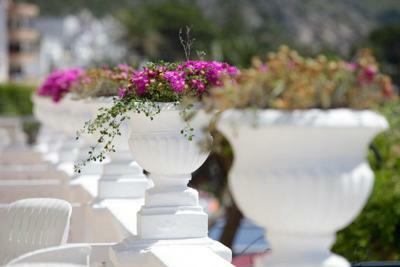 Fantastic location, great staff, beautifully clean rooms, good breakfast choices, lovely evening meals and cocktails , great private sea lounge/beach area. The location was ideal, very central. 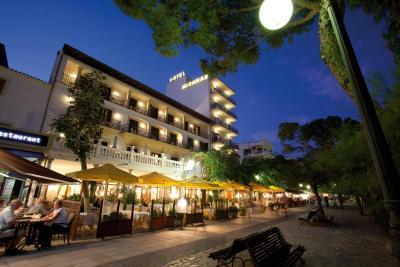 The hotel had a lot of character and the staff were very friendly and helpful. The pool and spa were excellent although opened a bit later than expected in the morning. The price was a bit higher than we are used to, in fact the whole resort was very expensive. 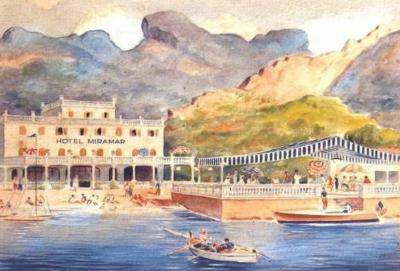 Offering a private beach area, outdoor pool and spa and wellness center, Hotel Miramar is located in Port de Pollença. All rooms have air conditioning and free WiFi. The spa and wellness center includes a sauna, hot tub and gym. Massage is also available. Spacious rooms feature a flat-screen satellite TV and a fridge. The private bathroom comes with a hairdryer, free toiletries, bathrobes and slippers. 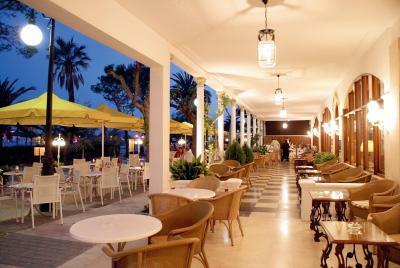 Hotel Miramar offers a beachfront restaurant, bar and snack bar. 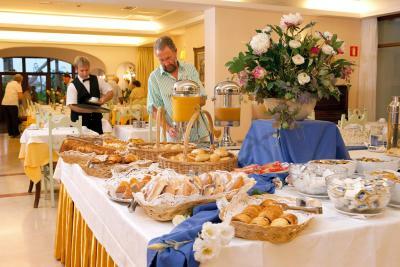 Room service is available and breakfast can be ordered in your room. 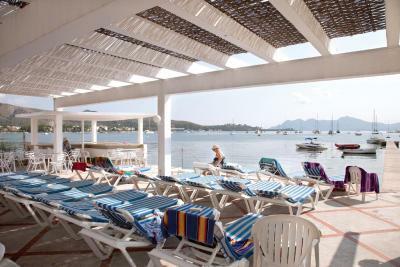 Facilities include entertainment staff, meeting facilities and a shared lounge. You can go cycling, fishing and hiking nearby. 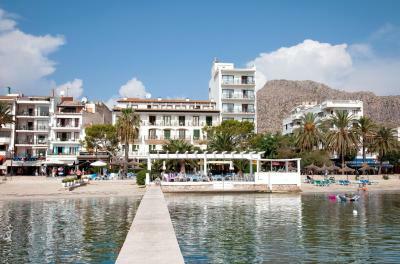 The hotel is 0.8 mi from Pollentia and Palma de Mallorca Airport is 31 mi away. Spacious air-conditioned rooms have free WiFi. Rooms feature a flat-screen satellite TV and a fridge. The private bathroom comes with a hairdryer, free toiletries, bathrobes and slippers. Spacious air-conditioned rooms have free WiFi and feature a flat-screen satellite TV and a fridge. The private bathroom comes with a hairdryer, free toiletries, bathrobes and slippers. This twin room has air conditioning, tile/marble floor and bathrobe. Pillows a bit too firm. People making noises and talking outside in corridor early in the morning. Doors banging early. No tea or hot chocolate available on bar menu. Had to go somewhere else to get some tea. But WAS available at breakfast ! Overall the staff were good but 1 or 2 of the waiters outside shouldn't be in the job . Would have preferred a room balcony that was a little bigger. Evening menu could be improved .